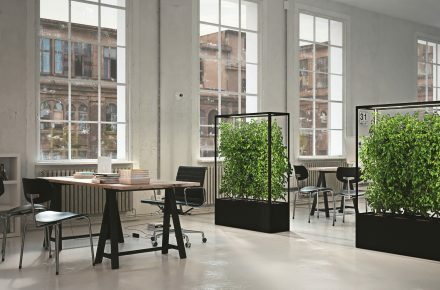 FSB focuses on environment-friendly production | InteriorPark. FSB is amongst the pioneers for the environment. Our lights have been set to green since 1991. And we are the first architectural hardware company worldwide to be certified to ISO 14 025. But hopefully not the last! Whether for the vicinity of our factory, which is in the middle of a mixed area of homes and businesses, or for the wellbeing of our staff, we try hard to keep the noise down. We have had noise levels independently checked since 1995 and we are always below the legally defined limits. Waste which requires disposal arises as commercial waste through the entire company and waste requiring special disposal arises in the milling shop, during machining, in the tool-making shop and in the anodising plant. Our foundry produces waste which can be recycled. Since 1992/93 FSB has managed to reduce the amount of non-recyclable waste by about 43% to 522 t. This was largely due to the construction of a new anodising plant, which is one of the most modern & environmentally friendly of its type. We were also able to reduce the total quantity of waste from 1992/93 by about 25%. FSB aims to use resources as sparingly as possible and has committed itself to energy saving. Since 2004 an energy committee has analysed our energy consumption. Regular so-called PIUS checks reveal possible savings, which we then implement, for example by installing a district heating connection early in 2008. Rebalancing the hydraulics in our hot water distribution system in 2011 led to savings in our gas consumption of 45,000 kWh. 2012 will be dominated b the introduction of the DIN EN 16 001 energy management system for further optimisation of our energy efficiency. At FSB, water is needed in many manufacturing processes. To look after this valuable resource, at the end of the 1990s we built a water treatment plant for the anodising process with which both rainwater and water from production is treated so that it can be reused.